SilkHost.pk offers range of Linux website hosting plans on different data-centers around the world. Selecting web hosting for your website is one of the most important decisions, you have to make regarding your website because it’s the hosting server who keeps your online identity active and available in online world. It empower companies as well as individual users to publish their website and/or web pages on internet. SilkHost.pk offers range of Linux website hosting plans on top data-centers around the world. Our shared hosting plans are designed to meet your needs and to provide maximum up-time for your website and emails. You will get hosting for your website on light speed reliable servers with world’s best and easy to use hosting control panel "cPanel" for your hosting management. In addition to this, you will get variety of important management tools to run your website as easy as possible. In short, if you are looking for best web hosting in Pakistan SilkHost can meet all your requirements under one roof, not only this, we also offer free domain registration with all our webhosting plans in Pakistan. If you already have a hosting but you are not satisfied from your current provider, you can make your hosting transfer possible in easy steps. 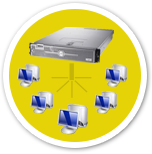 Our hosting migration experts can transfer your website form your current hosting provider. We can also help you in transferring your domain name. With all hosting transfers you also eligible of a free domain registration or domain name renewal and this is ending here, there is complete bundle you will get every plan your order with us. If you already have a hosting but you are not satisfied from your current provider, you can make your hosting transfer possible in easy steps. 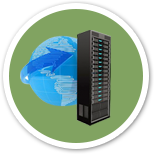 Our hosting migration experts can transfer your website form your current hosting provider. Web hosting is an internet service that allows you to run your static or dynamic over internet. You get space and bandwidth on shared or dedicated server in a data-center for your small personal or enterprise website. 100+ softwares on 1 Click install. This is the easiest to manage type of web hosting where you will just upload your files and website will start working. You do not need to think about any operating system level setup and hosting server management, commonly known as shared web hosting available in both Linux & Windows operating systems with us. Shared dedicated hosting is one step ahead of shared hosting where will be required somewhat management at your end, you get VPS (virtual private server) with preinstalled operating system and you will be required to setup web hosting environment i.e setting up webserver etc. Most advance type of webhosting comes with dedicated servers, where you just get hardware with power and you will have to manage everything at your own, you will be required complete server management to run this type of hosting. What is a shred web hosting? Shared hosting is a kind of hosting where many websites live on single web server, shared hosting service is normally cheap compared to dedicated hosting where one IP and hardware is dedicated to single website. Website can be uploaded by making a connection to server using FTP (Final Transfer Protocol) or a web interfaced called file managed (available in lots of hosting control panel like cPanel). How to select best web hosting in pakistan? Understanding your hosting needs is very important to select the best web hosting in Pakistan, this give you a real idea about your needs and you will be able to find most appropriate solution for yourself without overpaying the resources you do not need.